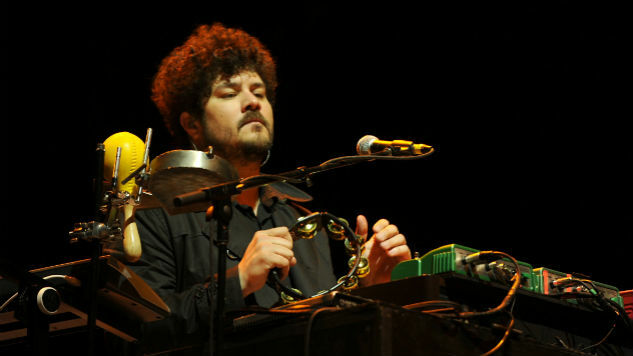 Singer-songwriter and producer Richard Swift died in Tacoma, Wash., on Tuesday morning after being hospitalized last month because of a serious, undisclosed medical condition, per Pitchfork. He was 41 years old. Swift toured and performed with The Shins for five years. In addition, he acted as touring bassist for The Black Keys and played drums for Dan Auerbach’s side project The Arcs. As a producer, Swift collaborated with Guster, The Mynabirds, Sharon Van Etten and Damien Jurado. He released his last solo album The Atlantic Ocean in 2009. Artists including David Bazan, Okkervil River and more also paid tribute to the late musician. Richard Swift was a beautiful, powerful wizard. It really hurts that he’s gone. RIP to my dear friend Richard Swift. I love you and I always will. My heart is broken, but i’ll never forget the times we spent together. You are a genius. Richard Swift was the most talented person I’ve ever met, some impossible amalgamation of Harry Nilsson, Paul McCartney, and Levon Helm, beyond soulful on any instrument he picked up, and a writer of hilarious, heartbreaking, funky, psychedelic songs. On June 19, representatives announced that Swift had been hospitalized due to a “life-threatening condition.” His family established a GoFundMe page to support his medical expenses, with hopes of raising $100,000. Watch a 2011 Swift performance from the Paste vault below.